In the early 1940’s, World War Two was taking the toll on chocolate rationing. Mr. Pietro Ferrero, a pastry maker, used hazelnuts, which were easily available in Italy, to create a spread …and so, Nutella was born. Initially sold in slices, Peitro changed Nutella into a paste because children were eating the Nutella slices and throwing out the bread. In 1983, Nutella exported the spread to the US market and since then, it has continued its quest for global dominance of your sweet tooth, using a fantastic global supply chain. Get your calendars out. 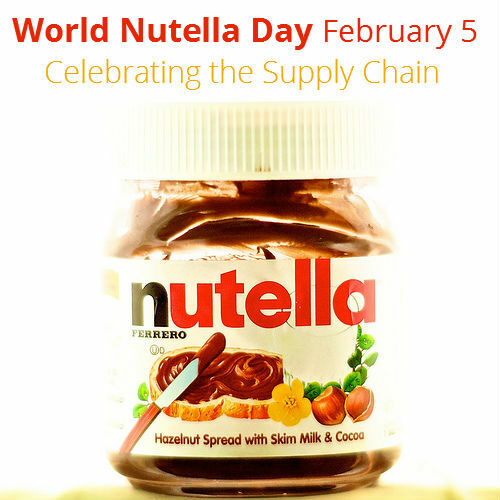 February 5th is World Nutella Day. And to celebrate, we hunted down this amazing map that sheds light on just how globalized production can be. 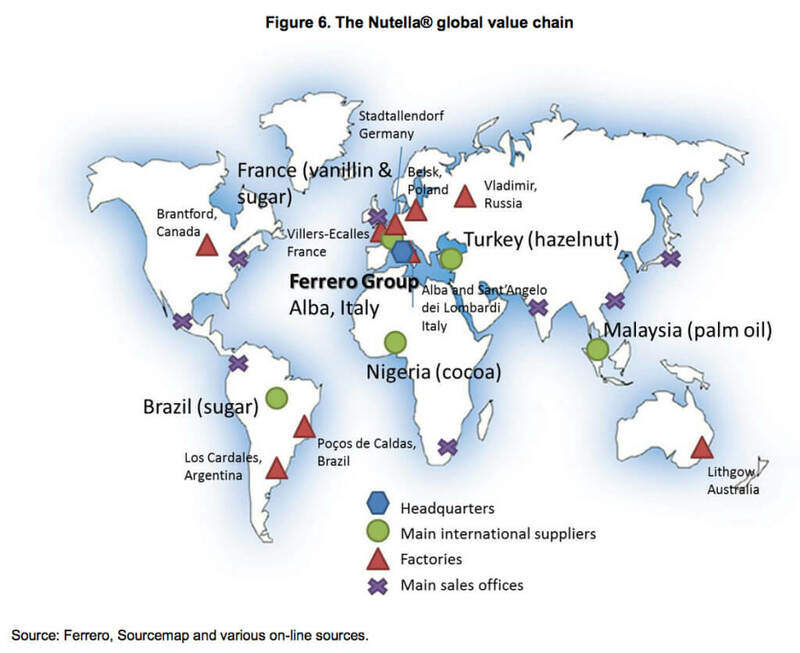 Once a local product of Piedmont, Italy, Nutella’s supply chain now spreads (pun unfortunatly intended) from Brazil (sugar) to Nigera (cocoa), from Turkey (hazelnuts) to Malysia (palm oil). And that’s without the factories located in Russia, Poland, Canada, Argentina, Brazil, Australia and other countries. And what connects them all? A supply chain that extends to 75 countries across the world. This information was all divulged in an OECD report that focuses on the role of global value chains (GVCs) in world trade. The report summarizes that production fragmentation is on the rise across the world. The study also highlights the importance of local demand. No Nutella factories are placed in central and east Asia because of lower demand, while developing and emerging economics are utilized for the agra-food development. To do this process well, a supply chain needs to run like an oiled machine, requiring plan but also automation technology. Want to read more about some fantastic supply chains? Check this article out. You can read the full OECD report here. Backer, K. D. and S. Miroudot (2013), “Mapping Global Value Chains”, OECD Trade Policy Papers, No. 159, OECD Publishing. For sweeter international freight booking, instantly get and book rates from many forwarders.